December 1 is the 335th day of the year(336th in leap years) in the Gregorian calendar.There are 30 days remaining until the end of the year. Year 800 (DCCC) was a leap year starting on Wednesday of the Julian calendar. It was around this time that the Anno Domini calendar era became the prevalent method in Europe for naming years, so from this time on, the years began to be known as 800 and onwards. Year 1081 (MLXXXI) was a common year starting on Friday of the Julian calendar. 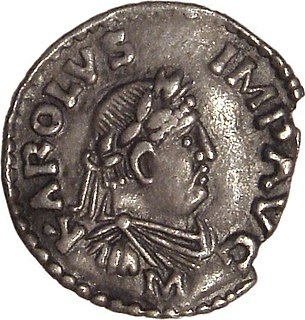 Louis VI, called the Fat or the Fighter, was King of the Franks from 1108 to 1137, the fifth from the House of Capet. Chronicles called him "roi de Saint-Denis". Judah ha-Nasi or Judah I, also known as Rabbi or Rabbenu HaQadosh, was a second-century rabbi and chief redactor and editor of the Mishnah. He was a key leader of the Jewish community during the Roman occupation of Judea. According to the Talmud he was of the Davidic line, the royal line of David, hence the title nasi "prince". The title nasi was also used for presidents of the Sanhedrin. Judah HaNasi died on 15 Kislev, AM 3978. Nasi’ is a Hebrew title meaning "prince" in Biblical Hebrew, "Prince [of the Sanhedrin]" in Mishnaic Hebrew, or "president" in Modern Hebrew. Saint Ansanus, called The Baptizer or The Apostle of Siena, is the patron saint of Siena, a scion of the Anician family of Rome. Blessed Bruna Pellesi - in religious Maria Rosa of Jesus - was an Italian professed religious and a professed member from the Franciscan Missionary Sisters of Christ. Pellesi served as an educator in places such as Sassuolo until she contracted tuberculosis and was moved to various sanatoriums for recuperation until the end of her life when she died in her convent. The Days of Military Honour are special memorable dates in the Russian Armed Forces dedicated to the most outstanding victories won by Russia. Some of these dates are state holidays but the majority of them is celebrated purely in the armed forces, while 7 November is marked by parades in Moscow and Samara. Russia, officially the Russian Federation, is a transcontinental country in Eastern Europe and North Asia. At 17,125,200 square kilometres (6,612,100 sq mi), Russia is by far or by a considerable margin the largest country in the world by area, covering more than one-eighth of the Earth's inhabited land area, and the ninth most populous, with about 146.77 million people as of 2019, including Crimea. About 77% of the population live in the western, European part of the country. Russia's capital, Moscow, is the largest metropolitan area in Europe proper and one of the largest cities in the world; other major cities include Saint Petersburg, Novosibirsk, Yekaterinburg and Nizhny Novgorod. Extending across the entirety of Northern Asia and much of Eastern Europe, Russia spans eleven time zones and incorporates a wide range of environments and landforms. From northwest to southeast, Russia shares land borders with Norway, Finland, Estonia, Latvia, Lithuania and Poland, Belarus, Ukraine, Georgia, Azerbaijan, Kazakhstan, China, Mongolia and North Korea. It shares maritime borders with Japan by the Sea of Okhotsk and the U.S. state of Alaska across the Bering Strait. However, Russia recognises two more countries that border it, Abkhazia and South Ossetia, both of which are internationally recognized as parts of Georgia. Saint Alexander Briant was an English Jesuit and martyr, executed at Tyburn. ↑ "NHL hockey came to the U.S. on Dec. 1, 1924". nhl.com. National Hockey League. December 1, 2008. Retrieved December 4, 2016. The National Hockey League celebrates another historic anniversary...remembering the first NHL game played in the United States, as the Boston Bruins hosted the Montreal Maroons, both expansion teams, at the Boston Arena on Dec. 1, 1924. ↑ Davies 1982, p. 5. Wikimedia Commons has media related to December 1 .